On Navy Day of Russian fleet In St. Petersburg there was the Main Naval Parade of Russia. Parade was held in the Neva and inner harbour of Kronstadt. In accordance with the Presidential Executive Order of July 27, 2017, the Main Naval Parade was held for the first time in Russia’s modern history. The parade featured the passing of ships and a marine air force unit overflight. Sailors from the Baltic, Black Sea, Northern and Pacific fleets and the Caspian Flotilla participated in the parade. President of Russia Vladimir Putin was on the parade and congratulated all Russian veterans, sailors, midshipmen, petty officers, officers and admirals. 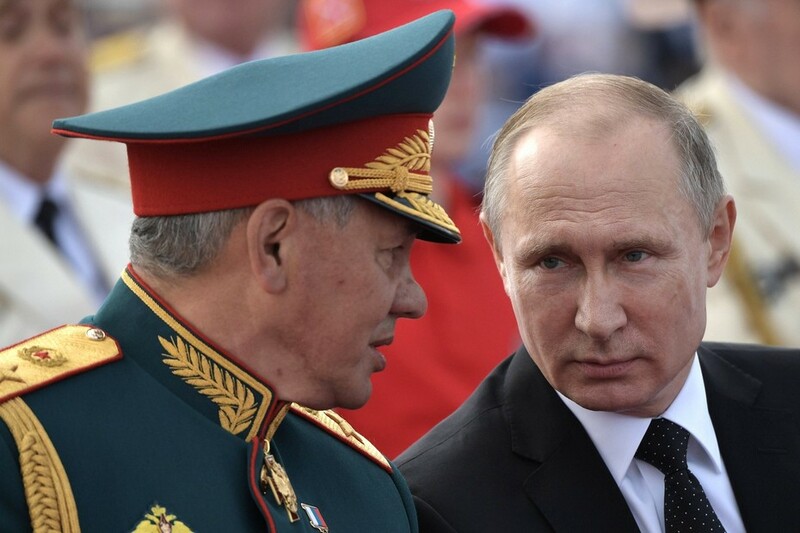 In his speech Vladimir Putin said: ‘This holiday is celebrated in each Russian region and with special solemnity, at the bases and in the garrisons of the Northern, Pacific, Baltic, Black Sea fleets and the Caspian Flotilla. Much is being done today for the development and renovation of the Navy. New ships are being commissioned, the fleet’s combat training and readiness are being perfected. Seamanship is chosen by the vigorous and strong-willed, by those who dare to defy the elements, who cannot imagine themselves without the sea, without difficult and noble service to their Fatherland. Today the Navy is not only solving its traditional tasks but is also nobly responding to new challenges, making a significant contribution to the fight against terrorism and piracy. The children and grandchildren of today’s sailors will take pride in their forefathers. Of this I am certain. Because your exemplary training, promptness and discipline are borne out during both training exercises and combat operations. On that day Vladimir Putin has visited Admiralty building, which houses the Russian Navy Headquarters. The Supreme Commander-in-Chief of the Russian Armed Forces, accompanied by Defence Minister Sergei Shoigu and Commander-in-Chief of the Russian Navy Admiral Vladimir Korolev, toured the library premises and viewed its unique Russian naval history documents, including those from the Peter the Great era. Following the visit to the Admiralty, the President attended a reception to mark Russian Navy Day. Vladimir Putin said: ‘Navy Day is among the most popular holidays with the Russian people, who have hold in high regard people in naval uniforms, their nobility and heroism, and their professional traditions. Today, we honour courageous, strong-spirited people. You have chosen to serve in the navy, protect the interests of our Motherland and provide security of its citizens, while making a great contribution to the strengthening of Russia's defence capacity and global stature. Today, thanks to the potential of the country's industry and science, we are strengthening the national defence and replenishing our Navy with state-of-the-art vessels and equipment. Last year, the fleet received 24 surface ships, two general-purpose submarines, and a service ship. This year, we plan to commission 30 ships and vessels.